Are you a sweet or savoury breakfast person?? If you are used to sweet breakfasts such as smoothies, porridge, pancakes peanut butter on toast then the thought of a savoury breakfast can seem odd or vice-versa. Here is a simple recipe for a typical Maharashtran breakfast, kanda poha. 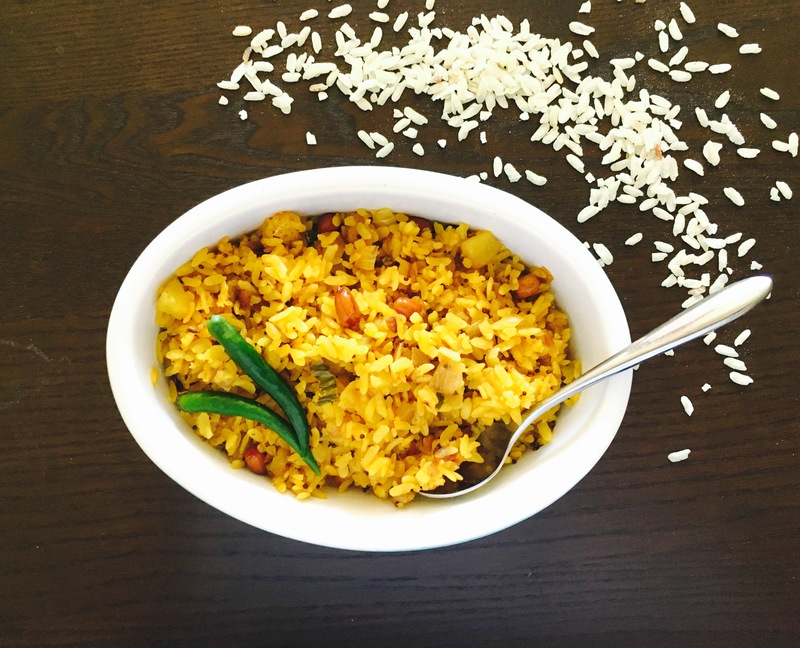 Poha is beaten or flattened rice flakes in this recipe we cook it with potatoes, onion and spices. This is a version made with some basic ingredients, other optional ingredients include coriander leaves, grated coconut or half a teaspoon of sugar. Now rinse the poha in cold water once and drain all the water out. Add poha to the wok, mix well. Season with salt and do taste it now to ensure that the salt is at the right level for you. Once you add the poha, reduce the heat to absolute minimum. Cook with lid on for another 8-10mins. Stir it occasionally to avoid burning, sprinkle some water 2-3 times. Serve hot with a squeeze of fresh lime and a cup of chai or coffee! Tip: remember to finely chop the potatoes and onions as they will cook faster the smaller the pieces. Towards the end sprinkling water helps the poha steam and cook through evenly.